Words cannot describe how much fun I had recording with Parquet Courts earlier this month. Seriously, that much. We holed up at the always-awesome Seaside Lounge in Park Slope for a week-and-a-half, and recorded as much as we could. 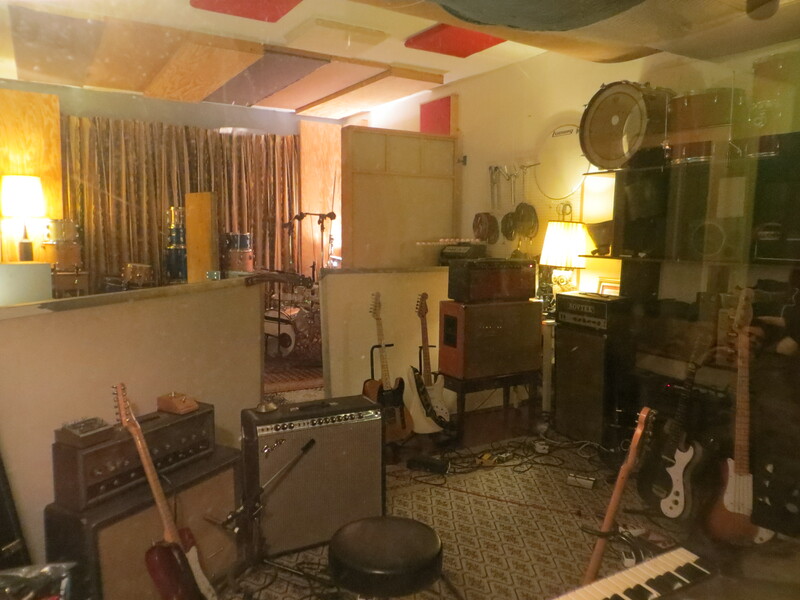 Check out our setup in that pic above, and there are some more photos from the sessions on the Parquet Courts website. From a sonic perspective, I’m really thrilled with what we did. It sounds like Light Up Gold, but way more! We tracked to an Otari MX-5050 8 track, which is the same model that a lot of early Sub Pop records (like Bleach and Superfuzz Bigmuff) were made on, as well as a lot of the Daptone stuff. It sounds awesome!! To help guide our decision, we did a shootout in the studio between the MX-5050 and the Tascam 388 (which we did Light Up Gold on) – I’ll be posting the results here soon for all my fellow recording nerds. After the recordings, I edited everything at my place and we went over to Doctor Wu’s to mix. Look for an EP later this year – I can’t wait for people to hear these songs! If you’ve read all this and still wanna read more about me working with Parquet Courts and about the recording process in general, then you’re in luck!! The Deli interviewed me recently about just that! Since then, I’ve been mixing and working on sound design for a new web series called Catherine. It was made by Jenny Slate and my old Food Party cohort Dean Fleischer-Camp, who also brought us Marcel the Shell. I’m still genuinely weirded out by it, but I can’t stop watching it!! The first three episodes are up now on the JASH Network (Sarah Silverman, Michael Cera, Tim Heidecker, Eric Wareheim and Reggie Watts’ new Youtube collective). Next ArticleMore Catherine, and more!